We don’t eat much red meat in our house so when we do we do it big! This steak is comparable to a steak you would get at a fancy steak restaurant at a fraction of the cost. 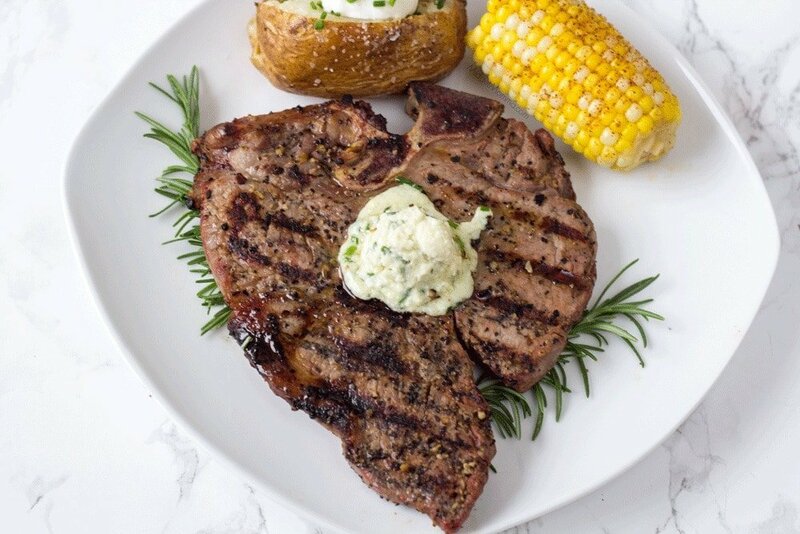 The blue cheese butter is very rich and creamy which adds a great contrast to a steak. 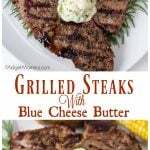 This Grilled Steaks With Blue Cheese Butter is one of my favorite ways to eat my steak! 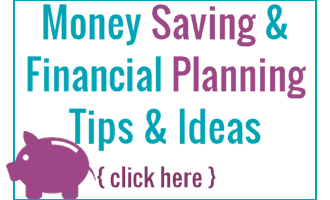 Check out these great side dish recipes to make a complete meal! Preheat your grill. Let your steaks come to room temperate for 45 minutes. Drizzle the steaks with olive oil and sprinkle with the Montreal steak seasoning. Grill your steak for 3 to 5 minutes on each side depending on how well you would like your steak cooked. Remove the steaks from the grill and let them rest for 5 minutes. Chop your chives. Mix the butter, blue cheese and chives together. Top the steaks with the blue cheese butter. Preheat your grill. Let your steaks come to room temperate for 45 minutes. Drizzle the steaks with olive oil and sprinkle with the Montreal steak seasoning. Grill your steak for 3 to 5 minutes on each side depending on how well you would like your steak cooked. Remove the steaks from the grill and let them rest for 5 minutes. Chop your chives. Mix the butter, blue cheese and chives together. Top the steaks with the blue cheese butter.